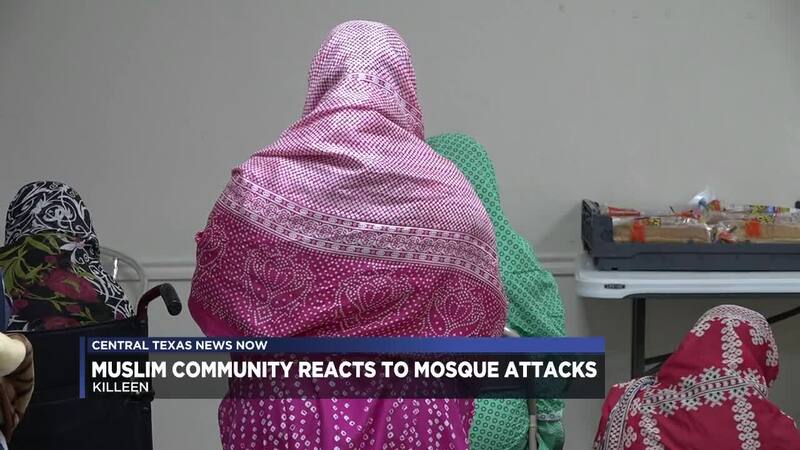 KILLEEN, TX — In the wake of two deadly attacks at New Zealand mosques, the local Muslim community is banding together in solidarity as they mourn the dozens of lives cut short. “It’s heartbreaking to see victims by that number. Peaceful people in worship place,” said Imam Ihab Abdelgawad. The Islamic Community of Greater Killeen holds services every Friday. However, attendance increased following the massacres. But some had lingering worries. “Honestly, I’ve been coming here every Friday that I possibly can, and I was very scared to come here today,” said Ghazia Kazmi. She says that despite those concerns, it was still important to come. “I mean at the end of the day we can’t always be scared of everything, if we did, we would just stay in our own little bubble all the time. Our faith is a big part of who we are as people. If this happened at a church, you wouldn’t just stop going to church on Sundays because this happened. You have to be brave and you have to show up and you have to do your religious requirements,” said Kazmi. Members of the Islamic Community of Greater Killeen say islamophobia is still prevalent. But they remain unified. “We’re here without fear because when we do fear, the enemy wins. The evil people win so we have to stand strong and keep doing what we’re doing,” said Jami Vandiver-Sesay.